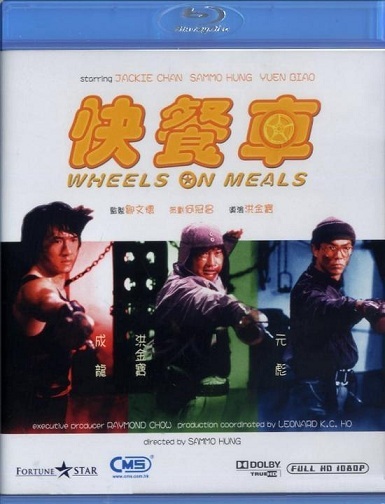 The most interesting positive aspect about Wheels On Meals is that it’s very similar to the style of a typical French comedy film from the early 1980s starring the likes of Gerard Depardieu, Christian Clavier, or Pierre Richard – but one of the fair ones, not great ones. But other than that, Wheels On Meals is no classic. It’s just a good, not great, film starring the talented Chan, Biao, and Hung. I like that it’s got the pace and style of a European comedy from the 80s, but I would have preferred that the action be spread out evenly during the film instead of saving most of the action towards the end. Eventhough the film is generally entertaining, the majority of the film sort of drags till it reaches its action-packed finale. I was hoping that the comedy element would tide me over till the climax but even the usually funny Chan and Hung are pretty tame in this film. I probably laughed out loud three times during the whole film. Im not saying that the rest of the comic elements were not funny, I just thought it was pretty tame from what one would usually expect from a funny Chan or Hung film. The final action scenes are pretty amazing but I just was sort of tired by the time I got to that point. Another cool aspect about the film was that it was filmed in Spain. My favorite old Hong Kong films are the ones that take place in exotic countries, so it was nice to see the streets of Spain. Another big plus was casting the Spanish Lola Forner, who is as hot as a Bond girl. If the comedy doesnt grab your attention, then Forner will! 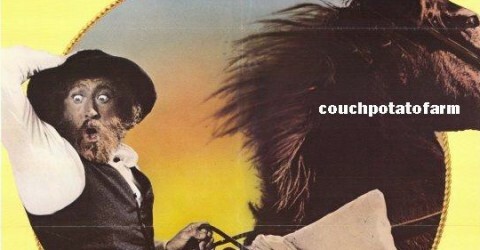 I really liked this blu-ray though considering Fortune Star’s past blu-rays of old films. It was generally just a positive experience watching this film because the video was totally clean and colorful. I wasn’t distracted by anything negative – positive video quality, non problematic audio, and here comes the big plus – almost perfect English subtitles! I don’t know how the previous dvd was, but if you dont have the dvd, this blu-ray is just a great way of enjoying this film regardless if it looks like an upconverted dvd or real HD. I’m a bit stricter grading Fortune Star blu-rays nowadays, but if I wasnt that strict, I would have given the video a 4 out of a 5. Of all the 1:85.1 Fortune Star blu-rays, I’m most impressed with the video on this one. The audio is like a 1.1 Dts-HD soundtrack with the subwoofer really kicking in with the big punches. The extras include a Sammo Hung interview (in English), a Yuen Biao interview (in Cantonese without subtitles) and a trailer. Wheels on Meals is a solid entertainer with a very pleasing blu-ray. I would recommend only to fans of Chan, Hung, and Biao and fans of movies filmed in Europe!